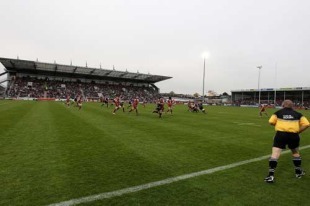 Exeter Chiefs have been given the go-ahead by their members to plan the redevelopment of Sandy Park Stadium and the adjoining conference facilities. The development, which will be in stages as finance permits, will include the stadium's capacity being increased from 10,744 to 20,000. The Aviva Premiership side's chairman and chief executive Tony Rowe hailed the news from Wednesday's annual general meeting as an "important milestone" in the club's history. "As a board we are delighted that the membership of Exeter Rugby Club have supported our plans for the future," he said. "Over the last few years we have made great strides in developing the club, but we are keen to push forward even further and make ourselves a force within not only the English game, but also the European game. This decision by the members is yet another important milestone in the history of our great club."